Hang your pictures, wall décor, or shelves in three easy steps. 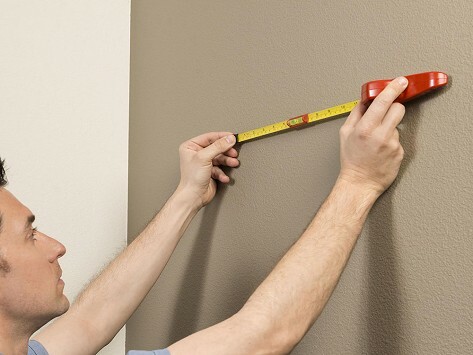 The Hang-O-Matic has a built-in leveler and built-in metal pointers which mark the wall and tell you exactly where the one or two nails should go. 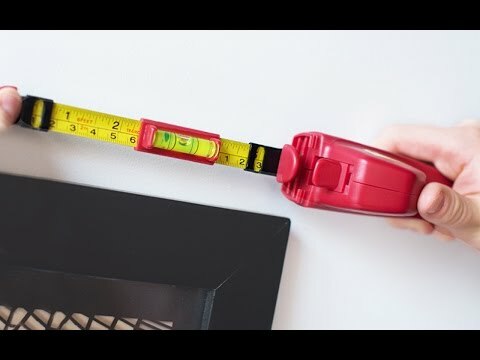 Pocket size, collapses down to 8"
Dimensions: 9.5" x 4.25" x 2.5"
Collapsible, pocket-sized, and weighing only 3.4 ounces, Hang-O-Matic goes anywhere and helps hang anything, including shelving and lights.